Iran’s new president will have to deal with an economy that is showing signs of foundering, according to the Washington Post. 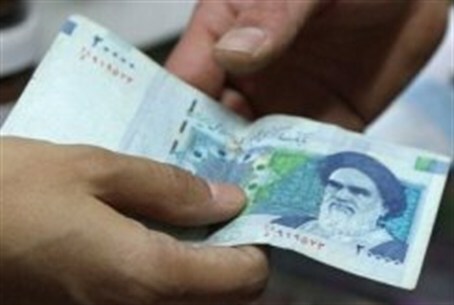 Iran’s new president will have to deal with an economy that is showing signs of foundering, according to a Washington Post report published over the weekend. Western sanctions are cutting ever deeper into the Islamic republic’s financial lifelines and increasing pressure for a nuclear deal with the West, the report noted, citing newly released data. The figures show accelerated financial hemorrhaging across multiple sectors, from plummeting hard-currency reserves to steadily falling oil exports, Iran’s main source of foreign cash. U.S. officials and analysts say the tide of bad news will complicate the task awaiting Hassan Rouhani, the incoming president, but it could also increase Iran’s willingness to accept limits that would preclude it from developing nuclear weapons. Although many Iran experts think that the chances for a bargain remain small, recent warnings about the economy from within the regime suggest that the nation’s leaders may be looking for a way out, analysts told the Washington Post. “The Iranian elite now publicly admits that the economy is in serious trouble, and this president was elected with a mandate to do something about that,” said Clifford Kupchan, a former State Department official and a Middle East consultant with the Eurasia Group. “Despite Iranian rhetoric, that can only make the prospect of a deal more attractive,” he told the Post. Rouhani, considered a “moderate” cleric in the west, assumed the presidency Sunday at a critical juncture in the country’s decade-long struggle with the West over its nuclear policies. The Obama administration, which has imposed a succession of increasingly harsh economic sanctions on Iran in the past two years, hopes to find a more accommodating negotiating partner in Rouhani, who campaigned on a promise of a more pragmatic foreign policy. The White House has been repeatedly outflanked by Congress, as lawmakers from both parties have pushed for still-tougher sanctions even before Rouhani takes office. Brushing aside warnings from U.S. diplomats, the House on Wednesday voted 400 to 20 to adopt measures intended to further decimate Iran’s economy by virtually shutting off the export of Iranian oil. “If President Rouhani truly has the will and authority to make a bold gesture on Iran’s nuclear program — such as suspending enrichment — he has a small window of opportunity before this bill becomes law,” Rep. Eliot L. Engel (D-N.Y.), one of the sponsors of the legislation, told the Washington Post. Iranian officials last month reported an inflation rate of 45 percent — compared with 32 percent earlier in the summer — while also acknowledging that the economy is set to contract for the first time in three decades, according to the Post. Iran’s oil exports, which had declined nearly 40 percent by the end of last year, have taken a further hit in recent weeks as Tehran’s remaining Asian customers have cut back on purchases of Iranian crude, said the report. Worsening matters for Iran, banking sanctions are preventing the government from accessing some of its remaining overseas reserves, said Mark Dubowitz, director of the Foundation for Defense of Democracies, a Washington-based think tank. Rouhani stressed soon after his election that Tehran would not consider halting the country’s uranium enrichment activities entirely.